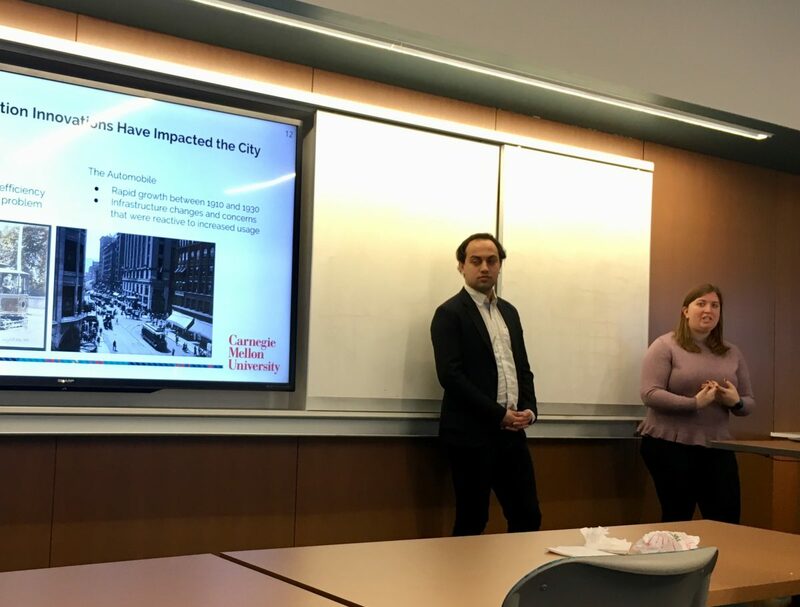 At CMU’s Transportation Club, Margaret Edwards and Gaurav Gupte, two Ethics, History, and Public Policy students shared their capstone presentation: a report on autonomous vehicle and transportation equity in Pittsburgh. The larger team of eight students presented their work before the Pittsburgh City Council at the end of 2017. T-SET’s Chris Hendrickson also talked about Traffic21’s history and initiatives.